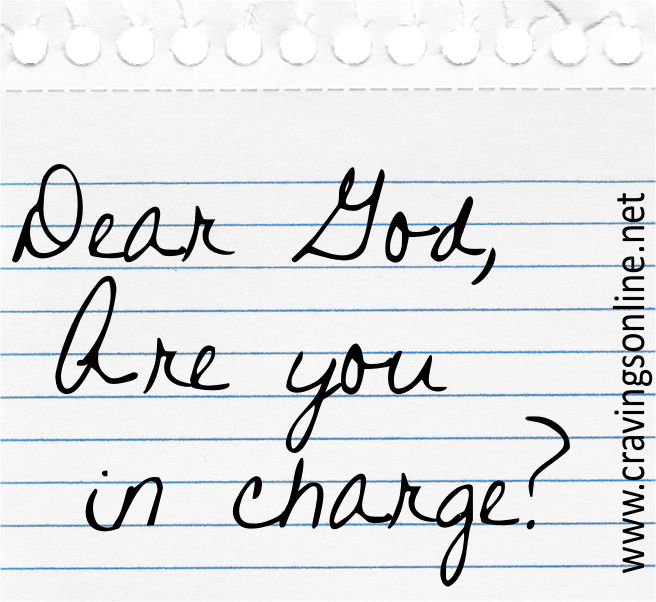 God, Aren’t you in charge? So since yesterday I have been reading and re-reading lots of scripture about having no fear, trusting in you, and believing in your purpose for our lives. It is good stuff, right? It is. But I am wondering how to translate it from inspiration into reality? Just tell me what you are really thinking Carey. Well…they are pretty words, they really are. And my head knows I am supposed to believe them with everything I am but I can’t get my heart to agree. I want to. I really want to believe that we have nothing to fear, that you have got us, that there is a lesson to learn in this path we are walking but I can’t help but worry, feel a tinge of panic, and run outlandish scenarios in my head. Why is that when I know what your Word says? You see or read the stories everyday of people who lost their job during the crash and have been out of work for years. We don’t deserve anything more than anyone else out there so why will our story be different? And then my mind just starts going…you see the stories of people who have a healthy child one day and then discover the next that their baby is battling cancer. You hear about people who are happily married only to discover that their spouse has been cheating on them for years. 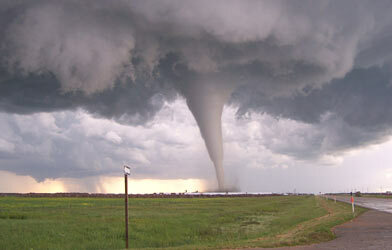 You see people content on their porches hanging out only to be hit hours later by deadly twisters. I could keep going and going. I see that. Are you done? You are right. That is all the reality of living on earth. I mean aren’t you in charge, in control, can’t you just fix it all with one fail swoop of a wrist or something? Carey, you know better than that! Did you really just say that to me? Sorry. But in this minute that is really how I would like all this to work. and you will see Me in the story that unfolds. Okay, God. Thanks for listening. Thanks for listening. I am sure I will be back soon. Very soon.